The cloudy skies that persisted over Crandon Park on Sunday didn't dispel the sunny mood created by two weeks of American junior success in major tournaments, capped by wins in three of the four titles contested on Sunday at the Dunlop Orange Bowl. In total, six of the eight championships won here went to U.S. players, after the previous week had seen Americans take four of the eight singles titles at the Eddie Herr International. Sixteen-year-old Yuki Bhambri of India prevented a U.S. singles sweep, handing unseeded Jarmere Jenkins of College Park, Ga. a 6-1, 6-3 defeat. Bhambri, the No. 2 seed, displayed his stylish game from the outset, and Jenkins struggled with his backhand throughout the match. "Jarmere is an attacking player, he likes to come to the net a lot, get on you very quickly," the Bollettieri-trained Bhambri said. "He was missing at the start, he was a bit nervous, and started to lose confidence." Jenkins gave Bhambri credit for directing his attack to his backhand, and for his poise. "He's younger than me, but he handled it better," Jenkins said. "A lot of things didn't go my way. I tried to do (backhand) slices down the line, but my slice wasn't going today. It was good for him, he saw that weakness and kept hammering it." Bhambri said that it wasn't so much the weakness of the Jenkins backhand as the strength of his forehand that had him searching for errors from that side. "Every time I went to the forehand I would get passed, he'd hit a winner, so that was the only option I had," Bhambri said. Not known for his strong serving, Bhambri wasn't broken throughout the match, and rarely faced a break point. He often played behind the ultra-quick Jenkins, who seldom anticipated the Bhambri patterns and found himself regularly on the defensive. Jenkins's first serve percentage was undoubtedly quite low too, and in the match's final game, when he was broken for the fourth time, he could be heard saying "one first serve would help." 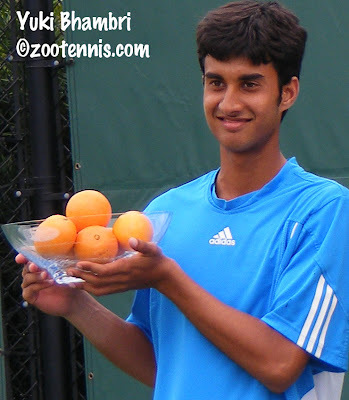 With the Orange Bowl championship, Bhambri earned not only a wild card into the qualifying of the Sony Ericsson tournament next spring, but the distinction of being the first Indian player to win a 16s or 18s Orange Bowl singles championship. "It's a big achievement," said Bhambri, who also won the Grade A Osaka Cup in October. "It's the biggest tournament in the states after the U.S. Open, so I feel very proud of myself." 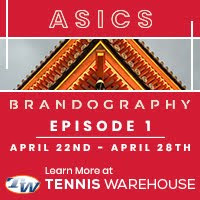 Back on Friday, it was already a foregone conclusion that a U.S. girl would win the title; on Sunday wild cards Julia Boserup and Christina McHale battled for that honor, with Boserup coming out on top 6-4, 2-6, 6-3. Boserup and McHale train together often at the USTA's High Performance Center at Boca Raton, so there wasn't much to be figured out in the early stages of match. Instead, both girls, who showed no signs of nervousness, went right to their strengths, and in the opening set, it was Boserup's ground strokes that gave her the edge. Hitting a extremely deep and penetrating ball, Boserup hit winner after winner, which is difficult to do against a defender as able as McHale. Serving for the first set at 5-3, Boserup was broken after holding three set points, but there was no evidence of any frustration, nor did she get tentative in the next game, when she forced a couple of errors from McHale on her way to securing the set. Even though McHale won the second set with relative ease, the 16-year-old from New Jersey wasn't happy with her approach. "I wasn't executing my game plan very well," said McHale, who had beaten Boserup handily in their last meeting, in a July Pro Circuit event. "She loves the ball right in her strike zone, so I was going to try to mix it up, but I wasn't able to do that." Boserup opened the final set with more controlled aggression, standing near the baseline and ripping forehands and backhands with equal force. Down 3-0, McHale had a chance to get the break back when Boserup committed three errors to open her third service game, but five points later, the lead was 4-1, and McHale's chance was gone. Knowing McHale's reputation for tenacity, the 17-year-old Boserup didn't let up. "I knew after I won the first set I just had to throw that away, because it all starts in the second set," said Boserup, who grew up in Los Angeles. "Christina does a great job of fighting back; she does that in all her matches, even if she loses the first set, so I knew I had to buckle down for the third and find a way to win it." Boserup's body language was positive as she closed out the first ITF win of her junior career, and the celebration was no more than a couple of fist pumps, the racquet staying in her hand. "I don't think it's even sunk in yet that I've won," Boserup said. "I tried to think every round was the same, preparing for it with my game plan and sticking to my routines. I just tried to think of it as any other match and not get too worked up about it." One thing Boserup was adamant about was the positive direction of U.S. tennis. "They've been giving Americans a very hard time about not having up-and-comers, but I think we've all been working very hard and we've proven ourselves this tournament--almost all Americans in the final rounds," said Boserup, who disposed of four of her compatriots in her last four matches. "It's something we should all be very proud of." The girls doubles final featured four of the U.S. contingent that made such an impression during this Florida junior swing, and it was Lauren Embree and Asia Muhammad that won the battle of unseeded American teams, 6-3, 6-2 over Brooke Bolender and Beatrice Capra. "I think we played the best we played all tournament," said Embree. "It was pretty windy, so we didn't want to make too many errors, we just wanted to be really aggressive today," said Muhammad, adding, "we play our best when we're really aggressive and not making mistakes." Bolender and Capra, who are frequent partners and have won an ITF junior event and a Pro Circuit event this year, weren't happy with their play. "We didn't play as consistent as we have been," said Bolender, 16. "We were more up and down where they were very consistent and at a high level. We weren't able to keep up today." 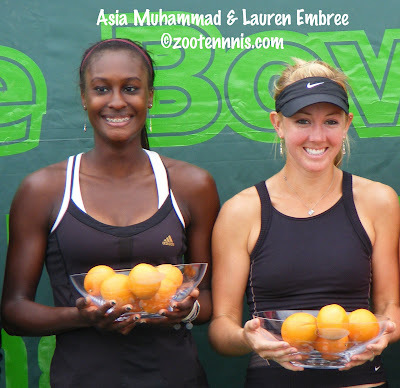 Embree and Muhammad haven't played together recently but they dominated the Orange Bowl this week, needing only one match tiebreaker to advance in the no-ad, match-tiebreaker-in-lieu-of-a-third-set format played now in ITF Grade A and Grade 1 tournaments. The boys doubles champions are Devin Britton his partner Jenkins, who avoided a second loss to the singles winner on Sunday when the Americans beat top seeds Bhambri and Ohio's Chase Buchanan 7-6(7), 6-2. With Buchanan serving for the first set at 5-4, Britton and Jenkins, who also won the Eddie Herr last Sunday, picked up their return games. "At 30-all Jarmere hit a pretty big backhand return and I followed it up with a big forehand return and we broke back. We picked up a lot of momentum from that," said Britton. "In the first set I was kind of depressed that I lost to this guy," said Jenkins, gesturing toward Bhambri. "In the second set, I just kind of forgot about it, but I didn't want to lose to another American in the final." "We couldn't let Yuki take both titles," Britton chimed in. 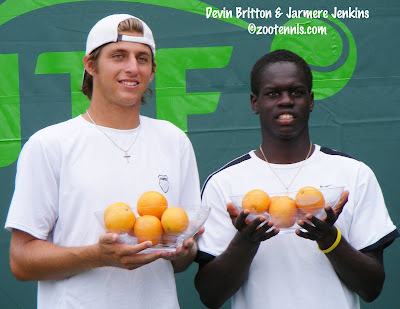 For complete results, see the Dunlop Orange Bowl page at usta.com. 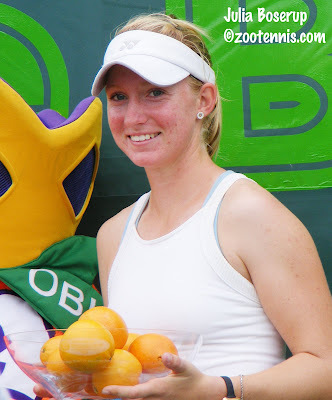 Any reason why Sachia Vickery is not seeded in the G14 Jr. Orange Bowl? Her 18's ITF ranking is quite high compared to some of the seeded player's. Also, Kozlov and/or Kerznerman are not seeded in the B12's. There has been a lot of chatter recently about Kudla switching to LeCoste/IZOD for his clothing deal from what the USTA high performance wears. Does anyone know if Kudla has accepted an endorsement contract with LeCoste which would mean that he has turned pro? There is no USTA High Performance clothing sponsor. Kudla did switch from Reebok to Lacoste. It is not an endorsement contract that would affect his amateur status. 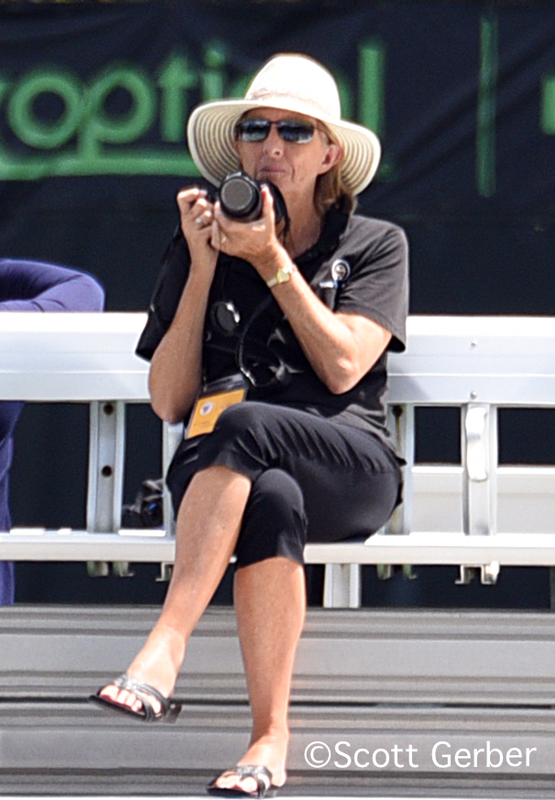 I am shocked that Vickery isn't seeded, but from what I understand, there is no formal Friend at Court procedures that apply to the Junior Orange Bowl. Last year if you recall, Christian Harrison wasn't seeded, drew the top seed in the first round, and ended up winning the back draw. When I inquired about not seeding Vickery, I was told that since she doesn't play 14s, they have nothing to go on, but she won the Easter Bowl 14s this spring. Also, I would think that an ITF ranking of 106 says something about her ability. The probable Vickery - Bouchard round of 16 match is already on my "don't miss" list for Saturday. As for Kerznerman and Kozlov, they only seed one player per country, and Toshiki Matsuya of Washington is at the top of the USTA rankings. Can someone tell me whether Bhambri is a professional? Also, I am told that Nicoloz Bashiavilli (sp?) is now professional and that he accpets the cash (not just for expenses) at satellite tournaments. Can anyone confirm this? Bhambri is definitely a professional. He is an IMG client. I don't have any knowledge of Basilashvili's status.